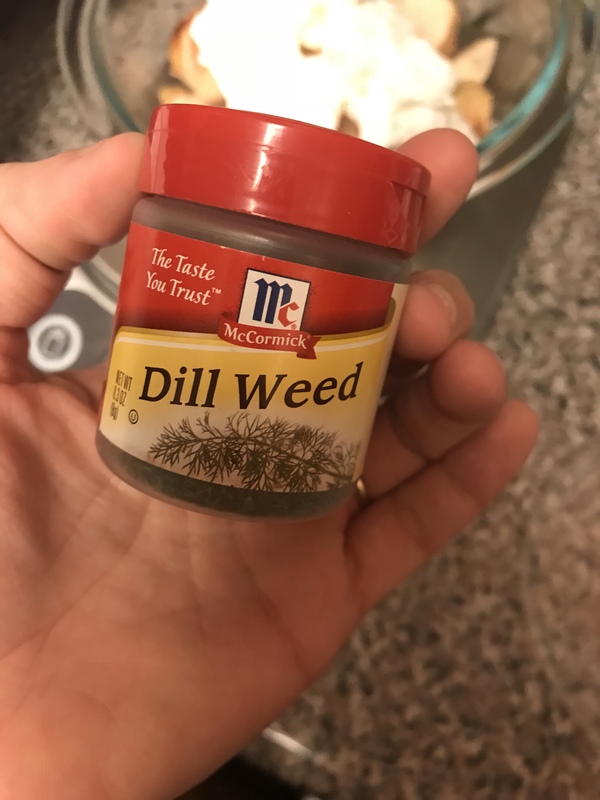 I owe you this recipe. 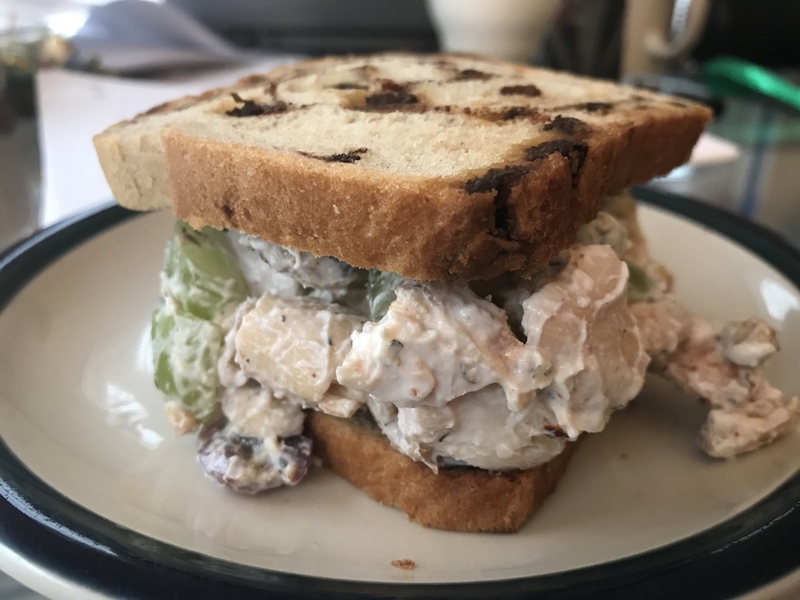 A few weeks ago I went on a chicken salad kick, mostly because I love dill and this was an easy way to get in some protein without a ton of carbohydrates. 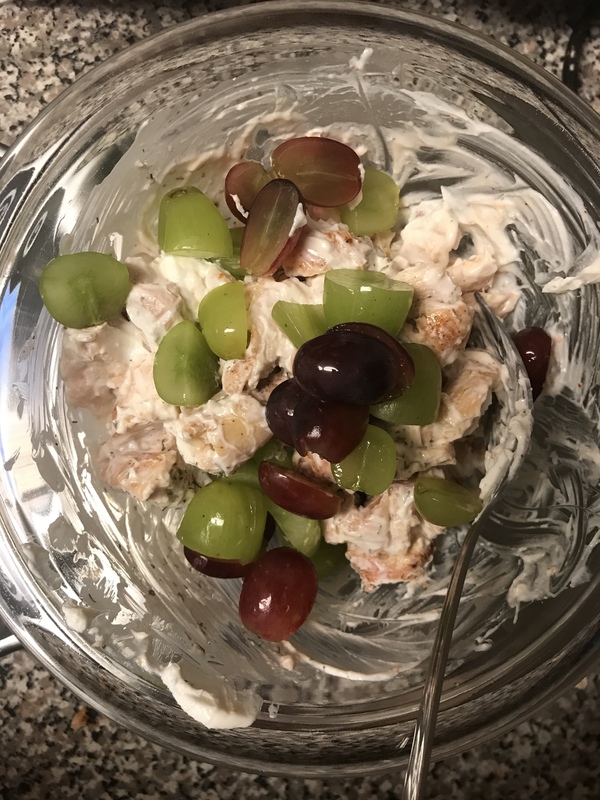 I don’t like to put food into categories – I want to eat what I want when I want it, so chicken salad and tuna salad are often snacks in this house. Like most of you, the weekends are for grocery shopping and meals are a moshposh until that happens. So we were looking at all the parts that we had in the fridge and tried to figure out what we could do with them – that’s where the cinnamon raisin bread in this recipe came into play. 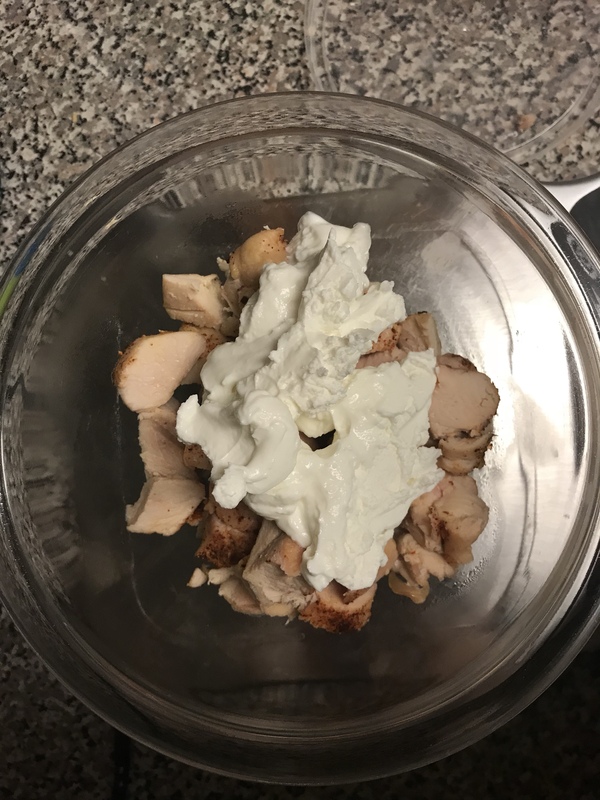 1.In a medium sized mixing bowl mix cooked, cubed chicken, Greek yogurt and dill weed. 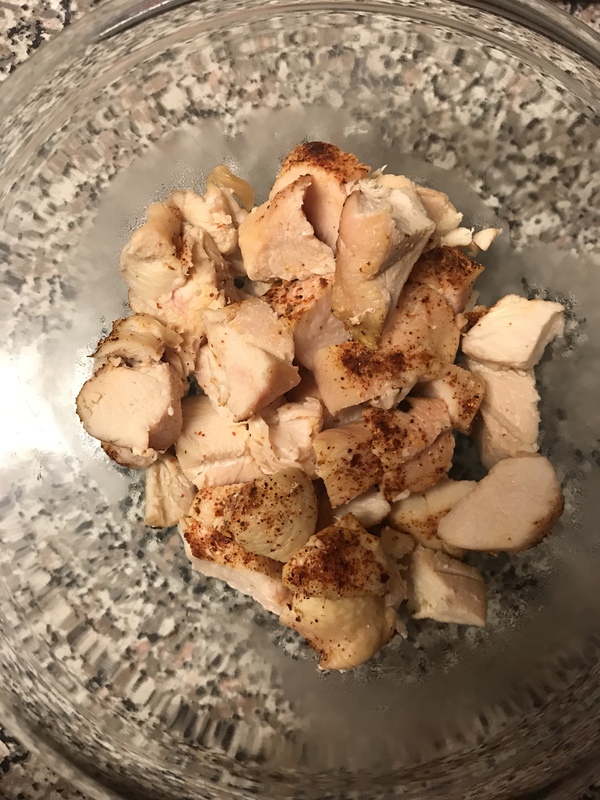 I had seasoned my chicken when I baked it, but it can be plain as well. Mix thoroughly. 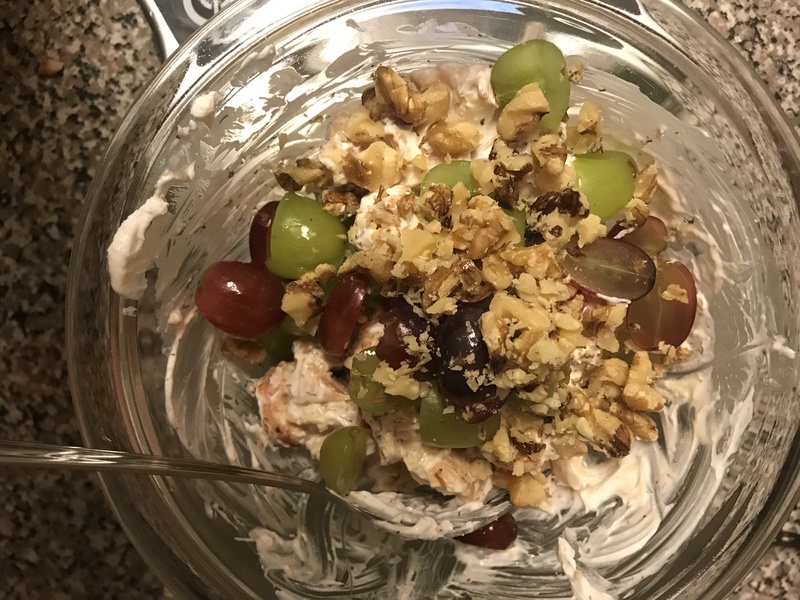 2.Mix in chopped grapes. I quartered our grapes because they were large, but whatever size you prefer. Depending on the size of the bread or if you choose a wrap may not need to quarter them. 3.Mix in walnut pieces. I put my walnuts in a bag and used a meat tenderizer to break them into smaller pieces. I’ve found that using a knife can be a long process and dangerous if your knife isn’t sharp enough. If you have walnut or pecan pieces already you can skip this step. 4. (Optional) Toast your bread! For a hearty sandwich, I find that they can fall apart if there’s a lot in the middle, so toasting helps prevent this. I put my toast in the toaster oven for 2 minutes at 300 degrees. You may not need to toast for this long, again, it’s preference. 5.Add half of the mixture onto your toast and serve!